Osama Bin Laden, seen in an undated photo, attending a meeting with a Kalashnikov on his lap in an undisclosed place. Editor's note: We'll be providing you with the latest information, the most interesting and compelling details and angles on Osama bin Laden's death as we get them here on this live blog. For the big picture that tells the story in full, click here. But stay with us for news as it continues to break. [Updated 9:30 p.m. ET] Addressing a group of congressional leaders at the White House this evening, President Barack Obama said that when Americans learned of Osama bin Laden's death, "I think we experienced the same sense of unity that prevailed on 9/11." THE SECURITY ISSUES: What's next for al Qaeda | A deathblow to al Qaeda? THE POLITICS: A victory for Obama, U.S. | Re-election impact? THE PAKISTANIS: What did Pakistan know? | Pakistan's role? [Updated 9:10 p.m. ET] A senior U.S. official says that the woman who has killed during the raid on the compound where Osama bin Laden was found was not a wife of bin Laden, and that she may not have been used as a human shield as previously reported. A wife was there, according to an official, but not killed. Earlier Monday, John Brennan, assistant to the president for homeland security and counterterrorism, told reporters that it was his understanding that the woman who was killed was one of bin Laden's wives. Other officials had said that the woman who died was used as a human shield in an attempt to protect bin Laden. [Updated 8:48 p.m. ET] Time magazine contributor Omar Waraich says he spoke to Sohaib Athar, an Abbottabad resident and software engineer who unknowingly reported, on Twitter, details of Monday morning's raid that killed Osama bin Laden. Athar had written on Twitter that, among other things, he was hearing a helicopter hovering above Abbottabad. [Updated 8:27 p.m. ET] A Time magazine contributor says people with whom he spoke in Abbottabad - the Pakistani city where Osama bin Laden was found and killed early Monday - seemed surprised at the news that the al Qaeda leader had been there. "When they found out that it was Osama bin Laden in (the compound), expressions just ranged from varying degrees of incredulity," Time contributor Omar Waraich told CNN's John King. Waraich said people he spoke to in Abbottabad seemed neither ecstatic nor saddened that United States forces had killed bin Laden. "In fact, Osama bin Laden seemed a bit of a mystery to them throughout the time that they’ve heard of him. They had heard, they said, that he was in Pakistan, but they didn't imagine where, and certainly if they thought he would be in Pakistan, he would be in the tribal areas, some distance away from them," Waraich said. [Updated 7:28 p.m. ET] More details about Monday morning's raid that killed Osama bin Laden at a compound in Abbottabad, Pakistan, according to a U.S. official: Four helicopters were involved in the operation, but not all were on the ground. About two dozen commandos were involved in the operation on the ground, the U.S. official said. Officials don't know how long bin Laden was at the compound, which was completed in 2005, but they believe it was built especially for him, the U.S. official said. The U.S. intelligence community never saw bin Laden in or around the compound before the raid, according to the official. [Updated 7:15 p.m. ET] U.S. forces shot Osama bin Laden first in the chest, and then in the head during Monday morning's raid on a compound in Abbottabad, Pakistan, a senior U.S. administration official said, according to CNN's Ed Henry. Previously, CNN had reported that bin Laden was shot only in the head. [Updated 7:12 p.m. ET] President Barack Obama will travel to New York City on Thursday to visit the site of the former World Trade Center and meet with families of those who died in the September 11 attacks, a senior White House official said. [Updated 6:02 p.m. ET] A U.S. official said multiple options were considered before settling on the assault that killed Osama bin Laden early Monday at a compound in Abbottabad, Pakistan. A U.S. official says the United States' codename for bin Laden was "Geronimo." [Edit, 8:55 p.m. ET]: A senior administration official said later that "Geronimo" was code for the act of capturing or killing bin Laden, not the man himself. [Updated 5:54 p.m. ET] The United Nations Security Council "welcomes the news on May 1, 2011, that Osama bin Laden will never again be able to perpetrate ... acts of terrorism, and reaffirms that terrorism cannot and should not be associated with any religion, nationality, civilization or group," the Security Council's current president, French ambassador Gerard Araud, said during a council session in New York on Monday. "The Security Council recognizes this critical development and other accomplishments made in the fight against terrorism and urges all states to remain vigilant and intensify their efforts in the fight against terrorism," Araud said. [Updated 5:35 p.m. ET] More from this afternoon's media briefing by John Brennan, President Barack Obama's adviser on homeland security and counterterrorism: When asked whether the U.S. forces who participated in the raid that killed Osama bin Laden picked up any documentation in the compound, Brennan said the Americans took time to "acquire whatever material we thought was appropriate and what was needed." "We are in the process right now of looking at whatever might have been picked up," Brennan said. "But I'm not going to go into details about what might have been acquired. We feel as though this is a very important time to continue to prosecute this effort against al Qaeda, take advantage of the success of yesterday, and to continue to work to break the back of al Qaeda." [Updated 4:38 p.m. ET] U.S. House Speaker John Boehner, R-Ohio, told reporters Monday afternoon that news of Osama bin Laden's death "unified our country in much the same way" that the September 11 attacks did. "Our fight for freedom and liberty around the globe continues. We face a complex and dangerous threat even today. It’s important that we remain vigiliant in our efforts to defeat terrorist enemies and to protect the American people. This makes our engagements in Pakistan and Afghanistan more important, not less," Boehner said. "I want to congratulate and thank the hard-working men and women of the United States armed services," Boehner added. "I want to thank all of those involved in the intelligence community for their tireless efforts and perseverance that led to this successful evening. I also want to commend President Obama and President Bush for all their efforts to bring Osama bin Laden to justice." [Updated 4:10 p.m. ET] The United States expects that a recording from Osama bin Laden - made before he was killed, with the intention that his supporters would distribute it upon his death - will be released, a U.S. official has told CNN. [Updated 3:34 p.m. ET] John Brennan, President Barack Obama's adviser on homeland security and counterterrorism, says it's his understanding that a woman who was used as a human shield in an attempt to protect Osama bin Laden was one of bin Laden's wives. Officials have said that a woman who was used as a shield by a male combatant was one of four people besides bin Laden who were killed during U.S. forces' assault on a compound early Monday in Abbottabad, Pakistan. Brennan said it is his understanding that the woman was one of bin Laden's wives, and that she "reportedly was used as a shield to shield bin Laden from the incoming fire." [Updated 3:16 p.m. ET] Will anyone get the up to $25 million bounty that the United States had put on Osama bin Laden? CNNMoney's Ben Rooney looks into it. [Updated 2:38 p.m. ET] President Barack Obama's top counterterrorism adviser said Monday that the elimination of Osama bin Laden is "a strategic blow" to al Qaeda. "It is a necessary but not necessarily sufficient blow to lead to its demise," said John Brennan, Obama's adviser on homeland security and counterterrorism. [Updated 2:33 p.m. ET] President Obama and his top intelligence and military officials were able to monitor in a "real-time basis" the progress of the operation on Osama bin Laden's compound, the president's top counterterrorism adviser said. "It was probably one of the most anxiety filled periods of time I think in the lives of the people who were assembled here yesterday. The minutes passed like days and the president was very concerned about the security of our personnel," John Brennan said. "That is what was on his mind throughout and we wanted to make sure that we would get through this and accomplish the mission. But it was clearly very tense. A lot of people holding their breath." Brennan said "there was a tremendous sigh of relief" when they believed bin Laden was in fact at the compound. [Updated 2:30 p.m. ET] A woman shielded Osama bin Laden from gunfire during the assault by U.S. forces, President Barack Obama's top counterterrorism adviser said Monday. "There was a female who was in fact in the line of fire that reportedly was used as a shield to shield bin Laden from the incoming fire," said John Brennan, Obama's adviser on homeland security and counterterrorism. Brennan said it was his understanding that bin Laden picked up a weapon and was killed in the firefight with the U.S. forces carrying out the assault. "He was engaged in a firefight," Brennan said of bin Laden. "Whether or not he got off any rounds, I don't know." [Updated 2:21 p.m. ET] The decision by President Barack Obama to launch the assault that killed Osama bin Laden was one of the "gutsiest" calls by any president in recent memory, Obama's top counterterrorism adviser said Monday. [Updated 2:08 p.m. ET] President Barack Obama's top counterterrorism adviser said Monday that it was "inconceivable" that Osama bin Laden did not have some kind of support system in Pakistan that allowed him to live in hiding there. John Brennan, the president's assistant on homeland security and counterterrorism, refused to speculate on what kind of support bin Laden might have received, or whether the Pakistani government or official Pakistani institutions had any role. [Updated 1:39 p.m. ET] Officials compared DNA of the person killed at the Abbottabad compound with bin Laden "family DNA" to determine that the 9/11 mastermind had in fact been killed, a senior administration official said. Four others in the compound also were killed. One of them was bin Laden's adult son, and another was a woman being used as a shield by a male combatant, officials said. [Updated 12:39 p.m. ET] The compound where Osama bin Laden was killed by U.S. forces is located a bit more than 1,000 yards from a Pakistan Military Academy, raising some questions about how much information the Pakistan military may have had about his whereabouts. [Updated 12:27 p.m. ET] Senior defense officials said that for a majority of the 40 minute operation at the Abbottobad compound, special forces were involved in a firefight - clearing their way through two other floors before they reached Osama bin Laden. Bin Laden was not killed until the last five to ten minutes of the firefight, officials said. Bin Laden and his family lived on the 2nd and 3rd floors of the 3-story building, and those floors were cleared last, the official said. The official says one of bin Laden’s own wives identified his body to U.S. forces, after the team made visual identification themselves. “There’s a robust collection of materials we need to sift through, and we hope to find valuable intelligence that will lead us to other players in al Qaeda," a senior intelligence official said. [Updated 12:25 p.m. ET] A soldier in a special forces unit based in Georgia told CNN on Monday that while the news of Osama bin Laden’s death is cause for celebration, elite military units have sprang into high alert. “A lot of guys got their security clearances elevated due to what happened last night,” said Lamont, who didn’t give his last name because of what he said were security reasons. “I lot of people got called back” overseas, he said, adding that his unit already was scheduled for deployment as early as two weeks ago. [Updated 12:22 p.m. ET] Osama bin Laden's body was buried at sea according to Islamic law because no country was willing or able to take his body for burial on land, senior Defense officials said. "When there is no land alternative, Islamic law dictates that the body be buried within 24 hours, and that was the basis," one official said. " A second senior Defense official said there was no country willing or able to accept the body for burial, and U.S. forces "took pains to observe Muslim law." "Today's religious rites were conducted on the deck of the USS Carl Vinson in the Arabian sea. The ceremony started at 1:10am and finished at 2:10am ET," the second official said. "Procedures for Islamic body were followed. The body was washed and placed in a white sheet. A military official read prepared remarks, which were then translated into Arabic by a native speaker. The body of Osama bin Laden was placed on a flat board, which was then tipped up, and allowed to slide into the sea." [Updated 12:16 p.m. ET] President Barack Obama said Monday that he thinks "we can all agree this is a good day for America." "Our country kept its commitment to see that justice is done," he said. The world, he said, is a better place because of the death of Osama bin Laden. The successful operation to kill bin Laden reminds Americans that there is "nothing we can't do" when we work together, he said. That spirit, he said, is seen in the patriotic crowds that have gathered across the country. "We're reminded that we're fortunate to have Americans who have dedicated their lives to protecting ours," he said. "As commander-in-chief, I could not be prouder." [Updated 11:16 am. ET] A DNA match confirms Osama bin Laden was killed in a U.S. operation, a senior administration official told CNN Monday. [Updated 11:09 am. ET] As the assault on bin Laden's compound commenced, the United States had a number of U.S. aircraft flying protective missions, according to a senior U.S. military official. None of the aircraft entered Pakistani airspace but they were prepared to do so if needed, the official told CNN. These included fixed wing fighter jets that would have provided firepower if the team came under opposition fire it could not handle. There were also armed and unarmed Predator drones providing additional firepower as well as surveillance. The Air Force also had a full team of combat search and rescue helicopters including MH-53 Pave Low and HH-60 Pave Hawk helicopters flying. [Updated at 11:07 a.m.] Pakistanis passed along raw phone-tap data to the United States that eventually led to Osama bin Laden's killing, but they failed to analyze or interpret the information themselves, a Pakistani intelligence official told CNN. The details of what Pakistanis did or didn't know or do about the daring American operation to kill bin Laden - from intelligence gathering to the execution of the raid - remained unclear Monday. But the intelligence official said that information about bin Laden and the people in the compound where he stayed "slipped from" Pakistan's "radar" over the months. The intelligence official said Pakistan regularly passed along intelligence of interest to Americans. The official did not say over what period the data was collected, but noted that from September the United States "was concentrating on this." He added that much of the focus was on a courier coming and going to the compound. He did not give the courier's nationality or name. Osama bin Laden was not in contact with other militant networks while he was there and maintained "an invisible footprint," the official said. Of the raid, he said, "I think they came in undetected and went out the same day." He added Pakistan officials do not think there were any U.S. intelligence personnel on the ground ahead of the special operations forces. [Updated 10:55 a.m. ET] A U.S. official disputed reports that bin Laden had altered his appearance to avoid recognition. The official said Bin Laden was recognizable on scene. He was "not transformed somehow." A visual ID was made, there were photo comparisons and other facial recognition used to identify him, the official said. A second official said that in addition to DNA there was full biometric analysis of facial and body features. [Updated 10:50 a.m. ET] There was no indication bin Laden was going to surrender when the U.S. launched its operation, a U.S. official said. That assumption bore itself out, the official said. “We encountered resistance upon entering the compound," CNN was told. A second U.S. official says the president's order was always to capture or kill bin Laden. The second official said the assumption all along was there would be no surrender by the al Qaeda leader. The official said that the mission was originally supposed to happen on Saturday, but would not discuss why it was delayed until Sunday. [Updated 9:56 a.m. ET] Posters to some of the radical websites that bin Laden's terrorist network used to speak to the world celebrated him as a martyr and vowed the group will continue despite its leader's death. "Congratulations for dying as a martyr and a fighter in the sake of Allah," one poster wrote. "We won't cry today, but we will revenge. Men and women in America will cry." another post read, echoing warnings from Western leaders that the terrorist network will almost certainly move to avenge bin Laden's death. The sites, frequented by radical Islamists who subscribed to bin Laden's philosophies, have played a significant role in attracting and radicalizing potential terror recruits and the broader radical Islamist community and have been frequently used by al Qaeda and its affiliates to broadcast statements. Many of the posters reacting to bin Laden's death referred to him as a "shaheed," or martyr. One was headlined "The Lion of Jihad was killed in a fierce battle." [Updated 9:56 a.m. ET] U.S. Secretary of State Hillary Clinton said Monday that the death of Osama bin Laden sends a message to the Taliban in Afghanistan that "you cannot wait us out. You cannot defeat us. But you can make the choice to abandon al Qaeda" and participate in a peaceful political process. Bin Laden's death comes at a time of "great movements toward freedom and democracy" in the Middle East and elsewhere, she said. "There is no better rebuke to al Qaeda and its heinous ideology," she said. "The fight continues and we will never waiver." Some doubted bin Laden would ever be caught, she said, but "this is America. ... We persevere, and we get the job done." [Updated 9:45 a.m. ET] U.S. Secretary of State Hillary Clinton said Monday that "Osama bin Laden is dead and justice has been done." "I want to offer my thoughts and prayers" to families of those killed due to bin Laden's campaign of terror, she said. His attacks showed "no value for human life or regard for human dignity," she said. But now "justice has been served." Clinton offered thanks to military, diplomatic, and security officials who launched "broad, deep, very impressive effort" to hunt down bin Laden as part of the anti-terror campaign. "We must take this opportunity to renew our resolve and redouble our effort" in Afghanistan and elsewhere, she said. [Updated 9:19 a.m. ET] Terrorists "almost certainly will attempt to avenge" the death of Osama bin Laden, CIA Director Leon Panetta said in a message sent to agency employees. [Updated 8:52 a.m. ET] The operation targeting Osama bin Laden was designed and executed as an operation to kill him, rather than to take him alive, a U.S. government official tells CNN. [Updated 8:40 a.m. ET] Pakistan's ambassador to the United States said both countries "cooperated in making sure" that the operation leading to Osama bin Laden's death was "successful." Husain Haqqani told CNN's "American Morning" that President Barack Obama called Pakistan's president to thank him for Pakistan's cooperation. [Updated, 8:12 a.m. ET] The operation that led to Osama bin Laden's death was American action, a Pakistani official told CNN. "We assisted only in terms of authorization of the helicopter flights in our airspace," said the official, who asked not to be named because he was not authorized to speak about the issue. "In any event, we did not want anything to do with such an operation in case something went wrong," the official said. [Updated, 7:30 a.m. ET] A U.S. government official tells CNN that DNA matching is underway on the samples from the body of Osama bin Laden. 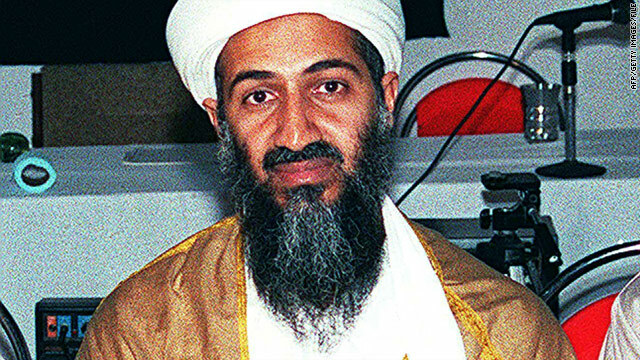 The matching has not been completed, but there are photographs of the body with a gunshot wound to the side of the head that shows an individual that is not unrecognizable as bin Laden. [Updated, 5:38 a.m. ET] For much of the world, Osama bin Laden was the face of al Qaeda. He was, after all, the man who oversaw the September 11, 2001, attacks. Within hours of bin Laden's death, questions began to emerge about who would take the helm of the organization and whether it would create an opportunity for other Islamic organizations to step up. "Al Qaeda is weakened. But it doesn't mean that the United States has no challenges," Steven L. Spiegel, director for Middle East development at the University of California Los Angeles, said early Monday. [Updated, 5:22 a.m. ET] Diana Massaroli, whose husband Michael was killed on September 11, 2001 when a jet plane slammed into the World Trade Center, said the death of bin Laden helped give her closure. "I'm missing him, but I feel that justice has been done," she said at ground zero, the site where the World Trade Center once stood, holding a picture of Michael. "I feel some overall calm that I haven't felt in 10 years. I never thought it would happen... never thought it would give me a feeling of closure," she said. But, she added, "I feel better... like I can start a new chapter in my life." [Updated, 3:36 a.m. ET] Afghan President Hamid Karzai said Monday he hopes the world believes that his country is "not the place of terrorism," hours after the United States announced that al Qaeda leader Osama bin Laden was killed in neighboring Pakistan. [Updated, 3:12 a.m. ET] A U.S. official said that Osama bin Laden has been buried at sea. The official said his body was handled in the Islamic tradition, but did not elaborate. [Updated, 2:31 a.m. ET] U.S. officials said they used facial imaging and other methods to identify the body of Osama bin Laden. A senior national security official said that they had multiple confirmations that the body was bin Laden, saying they had the "ability to run images of the body and the face." The national security official would not confirm if DNA testing was performed. [Updated, 2:15 a.m. ET] The leader of an Afghanistan opposition party on Monday said the killing of al Qaeda leader Osama bin Laden proves that Pakistan is a "haven" for terror groups. U.S. forces killed bin Laden in a mansion outside the Pakistani capital of Islamabad. "Killing of Osama bin Laden is pleasant news for Afghans, and now it's proven that al Qaeda and other terrorist organizations are not based in Afghanistan and Pakistan is a haven for them," said Abdullah Abdullah, the leader of the Hope and Change political party in Afghanistan. [Updated, 1:56 a.m. ET] The United States' Department of Homeland Security did not immediately raise the terror-threat level in the aftermath of Osama bin Laden's death, a department official told CNN early Monday. "We remain at a heightened state of vigilance. Secretary (Janet) Napolitano has been clear since announcing the NTAS (National Terrorism Advisory System) in January that we will only issue alerts when we have specific or credible information to convey to the American public," the official said. [Updated, 1:42 a.m. ET] Former President George W. Bush said of the death of Osama bin Laden: "This momentous achievement marks a victory for America, for people who seek peace around the world, and for all those who lost loved ones on September 11, 2001. The fight against terror goes on, but tonight America has sent an unmistakable message: No matter how long it takes, justice will be done." [Updated, 1:36 a.m. ET] As news of bin Laden's death reached people via cell phones late Sunday, thousands of fans at a Philadelphia Phillies baseball game chanted "USA! USA!" in the ninth inning of a Phillies-Mets game. [Updated, 1:26 a.m. ET] A congressional source familiar with the operation that killed Osama bin Laden confirmed that the terror mastermind was shot in the head during the U.S. raid, according to a briefing the source received, CNN's Dana Bash reports. The source would not go into details of others who were killed, except to say the operation was conducted carefully to avoid harming women and children. Asked if there is any intelligence that shows whether bin Laden's death could trigger pre-planned attacks, the source said no, but added there is obvious concern about retaliation. [Updated, 1:14 a.m. ET] Video from Pakistan's Geo TV is showing a fire at what apparently is the Abbottabad, Pakistan, compound where U.S. President Barack Obama said a "small team of Americans" launched a firefight Sunday that resulted in Osama bin Laden's death. [Updated, 1:08 a.m. ET] Crowds continue to celebrate Osama bin Laden's death at the site of the former World Trade Center in New York and outside the White House in Washington. One of the celebrants in New York, retired New York City police officer Bob Gibson, said he knew people who died in the September 11 attacks. "I never thought this night would come, where we would actually capture or kill bin Laden, and thank the lord, he's been eliminated, to put it politely," Gibson told CNN's Jason Carroll. "A lot of us .. gave up. But it did come, and a lot of us are overjoyed that it happened." [Updated, 12:54 a.m. ET] CNN's Chris Lawrence, citing U.S. officials, reports that the compound where bin Laden was found - in Abbotabad, Pakistan, about 100 kilometers outside Pakistan's capital of Islamabad - was three stories tall, and about eight times larger than any of the buildings around it. An official said a "small U.S. team" was involved in the operation at the compound - the official would not confirm any U.S. military involvement. An official said bin Laden resisted the assault - and was killed in the firefight. Three other men were killed in the firefight, and a woman being used as a human shield was also killed, the officials said. There were no U.S. casualties, the officials said. The U.S. team was at the compound for about 40 minutes, officials said. A U.S. helicopter crashed during the raid because of mechanical reasons, an official said. It was destroyed, the officials said. [Updated, 12:54 a.m. ET] A senior administration official told reporters that U.S. President Barack Obama's administration did not share intelligence gathered before the attack on bin Laden in Pakistan with any other country - including Pakistan - for security reasons. The official said that only a small group of people inside the U.S. government knew about this operation targeting Osama bin Laden in advance. [Updated, 12:44 a.m. ET] Many hundreds of people have gathered at the former World Trade Center site in New York City, cheering news of Osama bin Laden's death. Chants of "USA! USA!" are coming from the crowd. "It's just the most out-of body experience to feel so involved in history, this such a historic moment for our country right now," a woman told CNN's Jason Carroll. [Updated, 12:35 a.m. ET] The U.S. State Department warned Americans living abroad of "enhanced potential for anti-American violence" following the death of terrorist leader Osama bin Laden. The announcement was made in a worldwide travel alert issued early Monday. [Updated, 12:24 a.m. ET] A team of U.S. Navy SEALs carried out the operation in Pakistan that ended in the death of al Qaeda leader Osama bin Laden, CNN's Chris Lawrence reported. The operation lasted about 40 minutes, and the team had practiced the raid a few times. Earlier, CNN's Nick Paton Walsh, citing a senior Pakistani intelligence official, reported that members of Pakistan's intelligence service - the ISI - were on site in Abbotabad, Pakistan, during the operation that killed bin Laden. The official said he did not know who fired the shot that actually killed Bin Laden. [Updated, 12:11 a.m. ET] Members of Pakistan's intelligence service - the ISI - were on site in Abbotabad, Pakistan, during the operation that killed Osama bin Laden, CNN's Nick Paton Walsh reports, citing a senior Pakistani intelligence official. The official said he did not know who fired the shot that actually killed Bin Laden. [Updated, 12:06 a.m. ET] The crowd celebrating bin Laden's death outside the White House has grown significantly. Lots of cheering and waving of the U.S. flag. [Updated, 11:59 p.m. ET] More detail on where Osama bin Laden was killed: Forces killed him at a compound in Abbottabad, Pakistan, after a firefight, U.S. President Barack Obama said. Cooperation with Pakistan helped lead U.S. forces to Osama bin Laden and the compound where he was hiding, President Barack Obama said. Obama said he ordered the attack after he decided last week that the United States had actionable intelligence that bin Laden was in the compound. [Updated, 11:56 p.m. ET] U.S. diplomatic facilities around the world were placed on high alert following the announcement of Osama bin Laden's death, a senior U.S. official said. The U.S. State Department should be sending out a new "worldwide caution" for Americans shortly. [Updated, 11:44 p.m. ET] Bin Laden was killed in a military operation in Pakistan that U.S. President Barack Obama ordered today, Obama said. Obama said he was told last August that the United States had developed a possible lead on bin Laden - intelligence on bin Laden hiding in a compound in Pakistan. Obama said he determined last week that the United States had actionable intelligence. "Today at my direction, the United States directed a targeted operation against that compound," Obama said. Bin Laden was killed after a firefight, and forces took custody of his body, the president said. No Americans were harmed, Obama said. [Updated, 11:36 p.m. ET] U.S. President Barack Obama announced Sunday night that al Qaeda leader Osama bin Laden is dead. "Tonight I can report to the American people and to the world that the United States has conducted an operation that has killed Osama bin Laden, the leader of al Qaeda," Obama said. [Updated, 11:33 p.m. ET] Osama bin Laden was killed by a "U.S. military asset," according to a senior U.S. official. Earlier, a senior U.S. official says bin Laden was killed by U.S. forces in a mansion outside the Pakistani capital of Islamabad along with other family members. [Updated, 11:20 p.m. ET] A crowd that has gathered outside the White House is singing the national anthem, within an hour after reports that al Qaeda leader Osama bin Laden has been killed. The group also chanted, "USA! USA!" and "Hey, hey, goodbye!" in reference to bin Laden. A senior U.S. official says bin Laden was killed by U.S. forces in a mansion outside the Pakistani capital of Islamabad along with other family members. [Updated, 11:15 p.m. ET] Al Qaeda leader Osama bin Laden was killed by U.S. forces in a mansion outside the Pakistani capital of Islamabad along with other family members, a senior U.S. official tells CNN. Bin Laden was the leader of al Qaeda, the terrorist network behind the September 11, 2001, attacks on the United States. [Updated, 10:55 p.m. ET] A woman whose mother was killed on American Airlines Flight 11 on September 11 expressed "relief" over reports that Osama bin Laden is dead. In an e-mail to CNN, Carrie Lemack said: "Cannot express how this feels to my family, but relief is one word. We hope we can now focus on all that that madman took, namely nearly 3,000 + innocent victims, and not on him." [Updated, 10:55 p.m. ET] Osama bin Laden is dead, sources told CNN Sunday night. Congressional and administration sources say U.S. officials have the body of bin Laden, who was reportedly killed in Afghanistan. The details about his death were not immediately available. [Updated, 10:45 p.m. ET] Osama bin Laden is dead, CNN's John King reported Sunday night, citing sources. [Initial post, 10:09 p.m. ET] U.S. President Barack Obama is expected to make a statement Sunday night, tentatively at 10:30 p.m., the White House said. The subject of his address was not known. Obama is expected to address national security in his speech, a source said. I don't think that is a true news, because he was drown in the a rive or sea in Afghanistan, how ever there is no any sea or harbor for ships. All the people know that US and her supporters are doing drama. Russia would have done nothing. Putin and his courrpt KGB buddies aren't and weren't going to risk their profits to defend Pakistan. They'd snipe at the UN and they'd sell the Pakistanis weapons, but they're not going to do anything that endangers themselves. If you recall, on 9-11, the Russians immediately cancelled all military operations out of fear that they might actually have to face us on the battlefield.But, no matter, you're a moonbat who lives in a world where Saddam is a good guy and Bush is the devil. I'd tell you to start learning Arabic, but the Islamofascists wouldn't even bother to let you convert before cutting off your head. Useful idiots are rewarded with death. There are those pretending to be vets, who've hguobt their 'uniforms' in a surplus store. There are vets who get exploited, by the same leftists who spit on our troops and slander them as killers. All I know is our troops put their lives on the line, and sacrifice for our freedoms, the same freedoms these leftists want to take away from us. Considering over 80% of the Republicans in the House of Representatives pushed CISPA vs 23% of the Democrats despite the fact that it would be an invasion of our rights to privacy I guess you can now call the GOP a bunch of left wing hippies and the Democrats ultra-conservatives now. By Kevin WhitelawMarch 30,a02006The joint assault kileld at least 16 peoadple, most of them believed to be tied to Sadr’s miliadtia, the Mahdi Army. U.S. offiadcials insist the cenadter was being used as a base for insuradgent activadiadties and was not a mosque. But many Iraqis say the comadplex did indeed include the Shiadite equivadaadlent of a mosque, and the raid has drawn harsh conaddemadnaadtion from Shiadite politiadcians and prompted Iraqi Presadiaddent Jalal Taladaadbani, a Kurd, to launch an investigation.The mayor of Baghaddad promptly cut off coopaderadaadtion with the U.S. Embassy, and Shiadite politiadcians susadpended their negoadtiadaadtions to form a new govadernadment. The U.S. miladiadtary has long conadtemadplated takading tougher steps against Sadr and his trouadbleadsome miliadtia but has held off in the past because it did not want to antagadoadnize his many feradvent supadportaders. This raid, offiadcials say, was intended as a reminder to Sadr of the U.S. military’s reach ina0Iraq.U.S. offiadcials had been quiadetly praisading Sadr’s group in recent weeks because of its calls for calm in the wake of the bombading of a Sunni mosque in Samarra that sparked a wave of secadtaradian violence. Can't understand a thing you wrote with all the spelling errors. Wonderful put up, very informative. I ponder why the opposite experts of this sector do not understand this. You must continue your writing. I'm confident, you have a huge readers' base already!|What's Going down i'm new to this, I stumbled upon this I've found It absolutely helpful and it has aided me out loads. I hope to give a contribution & aid other customers like its helped me. Good job. Hello There. I discovered your weblog the use of msn. This is an extremely well written article. I'll be sure to bookmark it and return to learn more of your useful information. Thank you for the post. I will certainly comeback. I'll immediately seize your rss feed as I can't to find your e-mail subscription link or newsletter service. Do you've any? Kindly permit me realize in order that I may subscribe. Thanks.